At one time, when people thought about a limo service company, they envisioned a massive stretch limo used for weddings, proms, and other similar events. Today, a limousine company is much more. Most companies now have fleets that consist of executive sedans, mini-coaches, buses, and SUVs, among other vehicles. 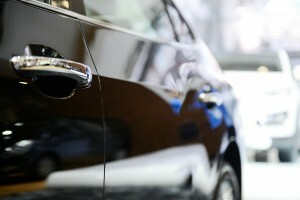 As a result, the limousine service industry can accommodate virtually any need. Believe it or not, the history of the limousine actually began in the early 18th century. At that time, a more stylish and luxurious mode of transportation was offered to people of wealth and fame. The term “limousine” originated in France, where an oversized hooded garment was used by shepherds as a way of protecting themselves against the harsh elements. Drivers of early models of automobiles used a similar type of garment sitting in open cockpits while passengers rode in the rear covered seats. The term “chauffeur” first referred to the highly trained drivers who dealt with the steam engines and managed the horses for trains and carriages. The sedan chair and horse-drawn carriages were commonly used in the 1700s and remained popular into the 1900s. The white stretch limo was developed in Arkansas in 1928 by a company known as Armbruster. Although many people of wealth and sophistication used the stretch, in the late 1920s and into the early 1930s, it was the main mode of transportation for big band leaders, including Benny Goodman and Glenn Miller. Along with passengers, the stretch limo helped transport instruments and equipment. In the 1930s and 1940s, Airporter Stretch Coaches were produced. These limos were popular all over the country for getting guests to and from hotels. However, they were also commonly used by tourist companies to take groups on sightseeing trips. Having gained more exposure, very quickly the stretch limo was the most popular trend in Hollywood used by famous actors. In 1962, Armbruster and Stageway Coaches from Ohio merged, becoming Armbruster-Stageway Coachbuilders. Using a Cadillac chassis, the first six-door funeral limo was produced in 1974. Shortly after, an entire line of Lincoln stretch limousines was developed. Without question, the funeral industry was responsible for increasing popularity, but soon, companies began marketing the limo as a way of moving people from one place to another except in bigger cars. With this, the stigma of limousines being funeral cars began to diminish. In the 1960s and 1970s, limousines were used more for general purposes than ever before. This type of vehicle became the top choice of transportation for many Hollywood stars, as well as U.S. presidents. With growing interest and higher demand, a greater number of coachbuilders started to design customized vehicles. Today, the stretch limousine is still used, although now it is a transportation option for anyone. The limo has become more affordable, there are different types of vehicles used, and new amenities and technologies have been implemented. As mentioned, along with the stretch limousine, limo companies offer an impressive fleet that consists of more sophisticated and state-of-the-art automobiles of varying types and sizes.